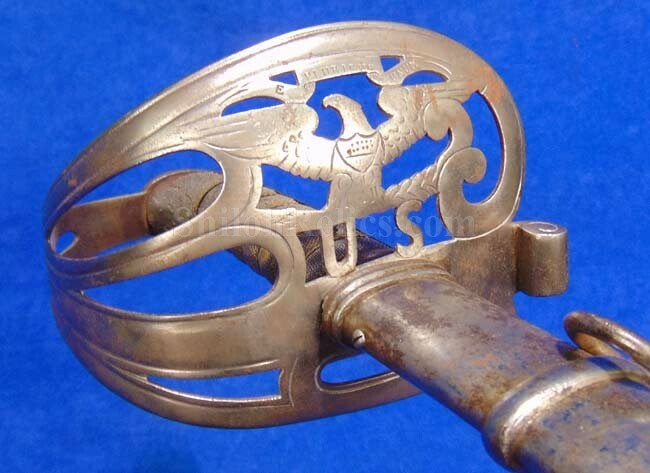 This is a nice looking Civil War staff & field officer’s sword and scabbard. This is the style that was made in Germany and imported here tot he United States for retail sale to well-to-do Union officers. This one has a full-length blade with a light gray tone all over. 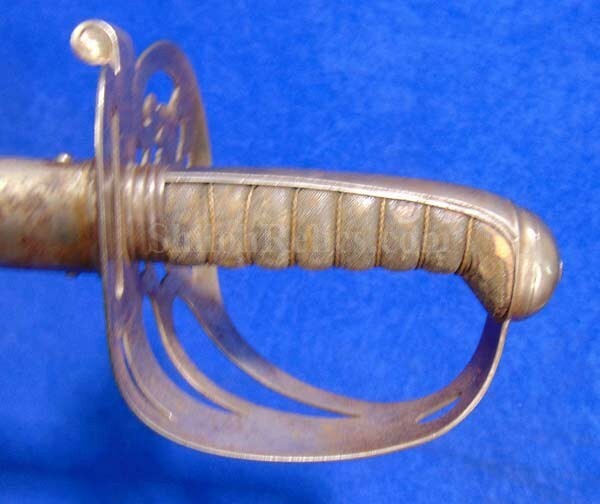 This the version that was made without any etching on the blade. 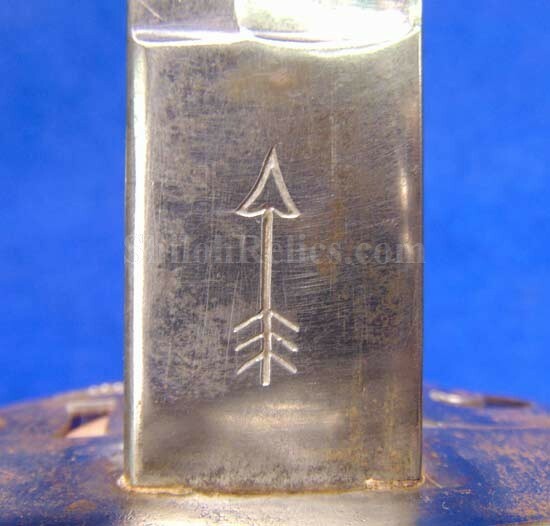 At the base of the back of the blade you can clearly see the arrow design maker mark. 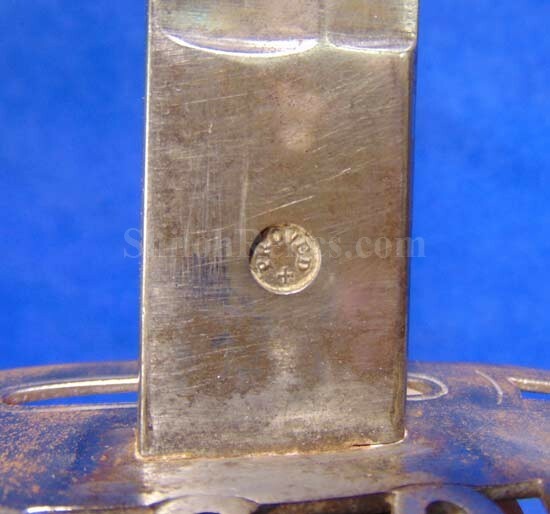 This is the mark of Carl Wilhelm Clauberg. 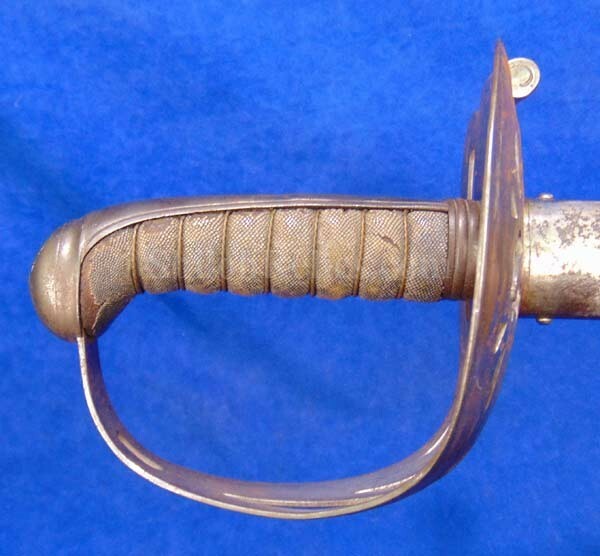 He made swords in Solingen, Germany from 1847 until 1866. 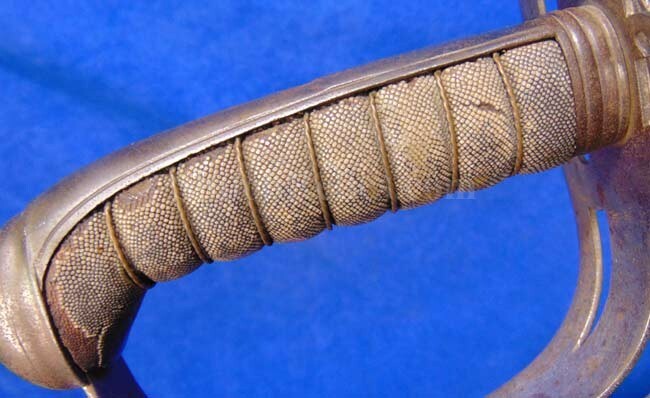 Companies in Solingen manufactured many quality edged weapons during the Civil War such as this one. They would be made in Germany and imported to be sold by the quality retailers of the day. These non-regulation staff officer swords stand out from the rest because of the hand guard. 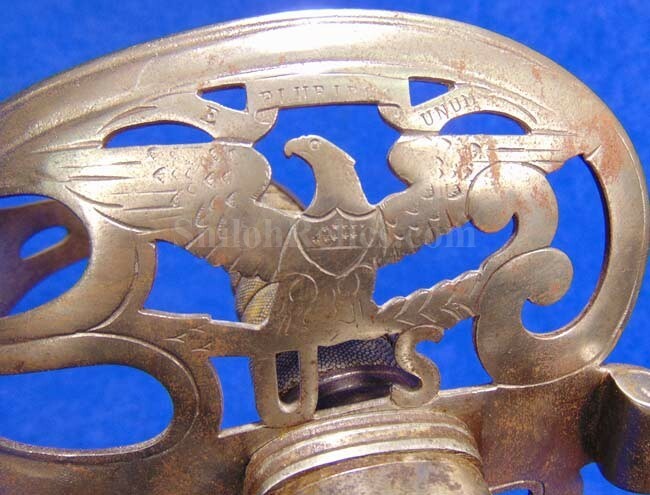 It has the U.S. lettering along with the eagle design in the guard. 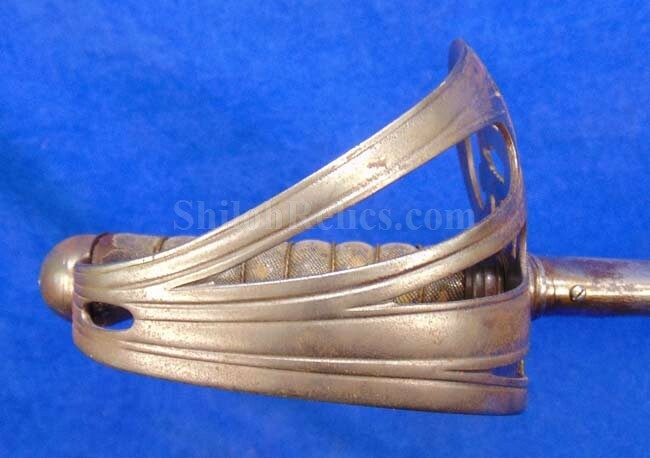 The guard is the style that is made of iron and as you can see it has a gorgeous untouched color to the metal. 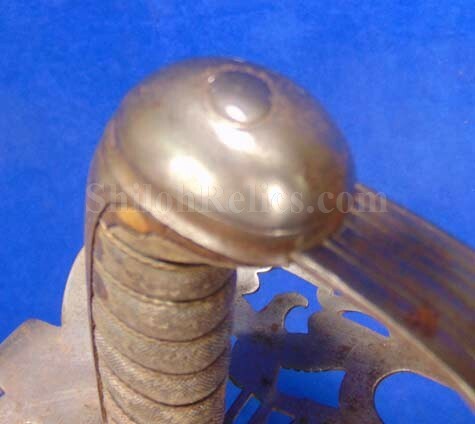 This one still has the original handle intact and as you can see it has a nice well worn look. The spring style copper wire is present with a pleasing look. About 95% of the original rayskin grip is still present. 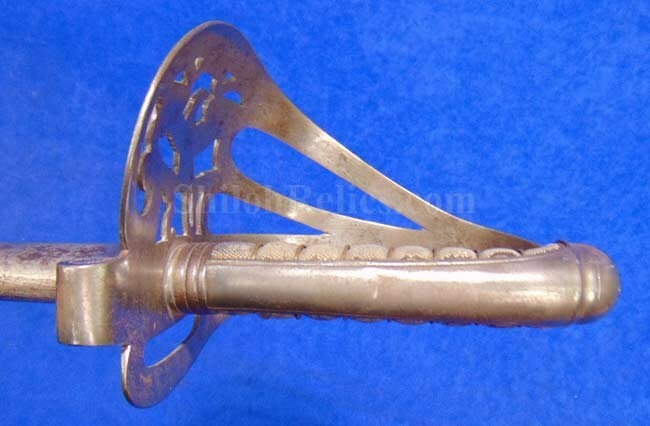 The sword is accompanied by the original all metal scabbard. 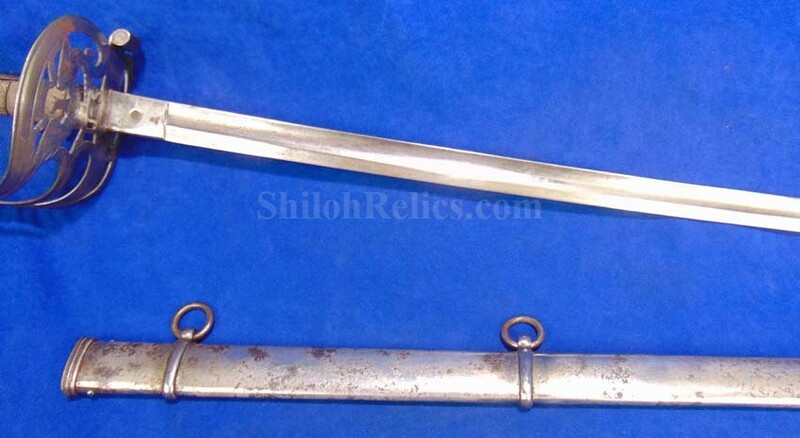 Again the scabbard is the all iron version which is correct and original to the sword. 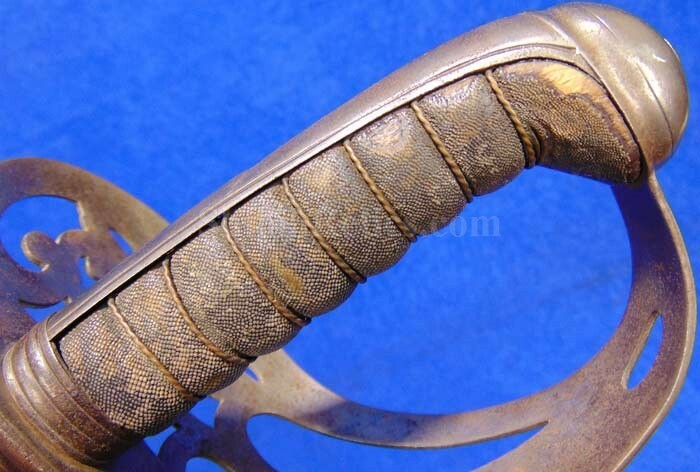 The scabbard is complete with both rings, mounts, drag and throat. This sword has the look of a weapon that you can tell saw service. It makes you wonder where it was at during the war.